AMMAN, Jordan (CNS) — As Jordan steps up airstrikes on Islamic State targets in Syria to avenge the murder of its pilot, Catholic and other leaders are hoping that the tragedy can still yield good for the future. Islamic State killed First Lt. Muath al-Kasasbeh in early January, but the video showing his death by immolation was released online in early February, triggering a wave of anger in Jordan and the world. “This ordeal for the family of the young pilot and the Hashemite Kingdom of Jordan reminds us how the fight against any fundamentalist force is necessary and urgent,” said Archbishop Fouad Twal, the Jordanian-born Latin patriarch of Jerusalem. “Kasasbeh’s execution is an unbearable brutal and barbaric act,” he said in a statement issued by the patriarchate. “Too many men and women of all religions have already lost their lives in a most tragic and inhuman manner since the emergence of the so-called Islamic State, which is not a state and cannot claim any religion apart from it,” he added. 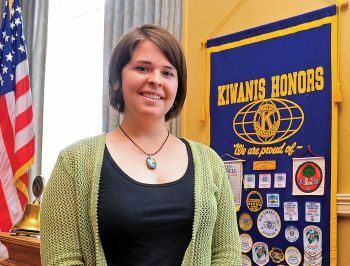 Kayla Mueller of Arizona was the latest American to die in captivity of the Islamic State group. However, U.S. intelligence officials cannot determine how she was killed or when she died from the photographs supplied by Islamic State to her family. Mueller’s captors claimed a Jordanian airstrike killed her Feb. 6 in Raqqa, Syria. However, U.S. and Jordanian officials were skeptical of the claim after Islamic State said she was the only person to have died in the assault. Jordan has also questioned how the militants could determine it was a Jordanian aircraft, as there are many nations participating in U.S.-led airstrikes against the extremists. Father Rifat Bader, who directs the Catholic Center for Studies and Media, told Catholic News Service that Kasasbeh’s death was “very shocking” for Arab society, but he added that Jordanians were sad to hear of Mueller’s death, and he called them both martyrs. “Such blood seems to unify the world now because of the actions of these same people. We hope that the innocent blood that has been shed will press the whole international community to work for peace and to use religion in the service of peace and harmony,” Father Bader told CNS Feb. 11. “We must be united to promote human values and human rights, among those — most important — is the right to live,” Father Bader said. Father Bader joined clergy from many Christian denominations to pay condolences to the Kasasbeh family in their hometown of Ay, in southern Jordan. In retribution, Jordan has bombed more than 55 Islamic State targets in Syria, claiming to have destroyed 20 percent of the terror group’s capabilities in its stronghold of Raqqa. “I am convinced that God can change the bad to good,” Father Bader added. His sentiments were echoed by Prince Hassan, the uncle of Jordan’s King Abdullah II. Many point to the need for education to combat the ideology of extremists groups, such as Islamic State, and the terror they carry out. Ways must also be found to eliminate the ideology of hate and terrorism through better education, Queen Rania said Feb. 9. “We need to change educational policies in the Arab world to ensure quality learning and instill true values of religion, patriotism, co-existence and hard work,” she said in a video posted on YouTube. Patriarch Twal said Christians and Muslims must unite with “people of good will to fight, mainly with the power of prayer and wholesome education” the challenges now faced. “The fear of God that we share in common should urge us to live as brothers and to support one another as we have done together in the Middle East for centuries,” he added.